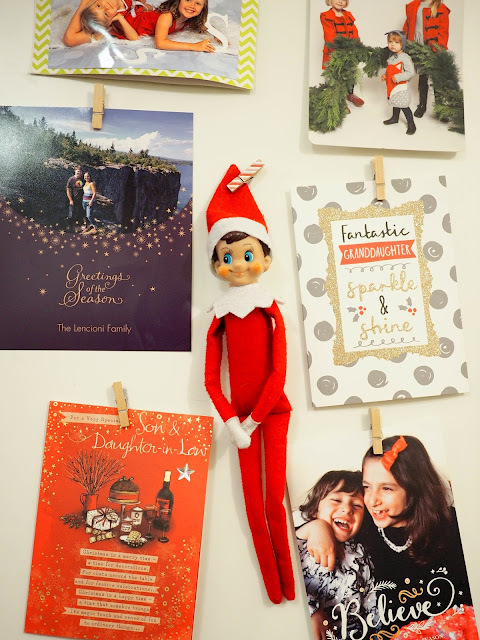 I can't believe that three weeks with Elfie Pokie Nokie in our home has gone by already. 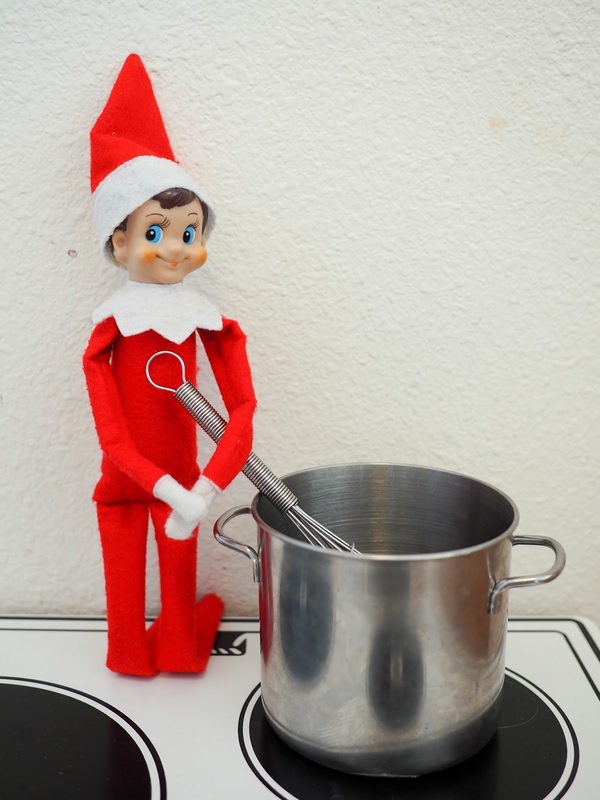 It looks like Elfie decided to do a little cooking on Lola's play stove. I wonder if he realizes the stove isn't real. His saucepan was empty so I guess so. Maybe elves eat imaginary food. One day Ava mentioned that she wondered if Elfie Pokie Nokie might like to play a Nintendo game with Yoshi. 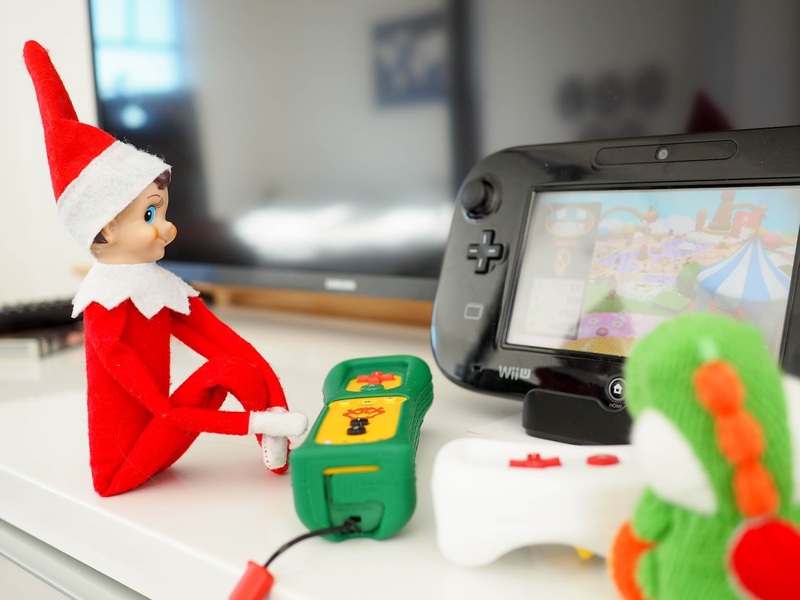 He must have overheard Ava as the next morning we found him playing Yoshi's Woolly World on the Wii U with Yoshi. 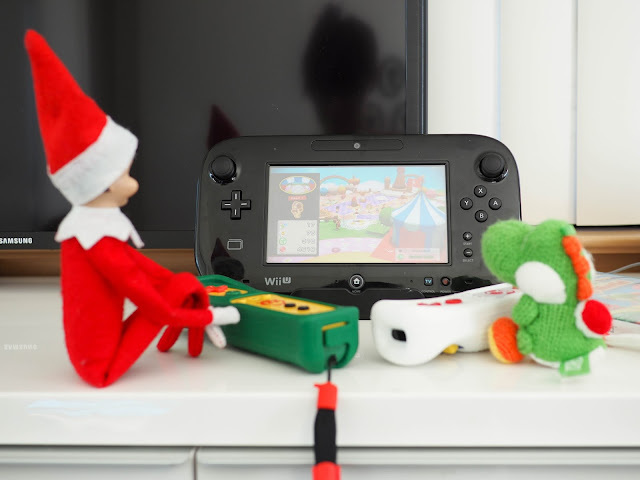 The main Wii U controller is the perfect size for an elf tv! 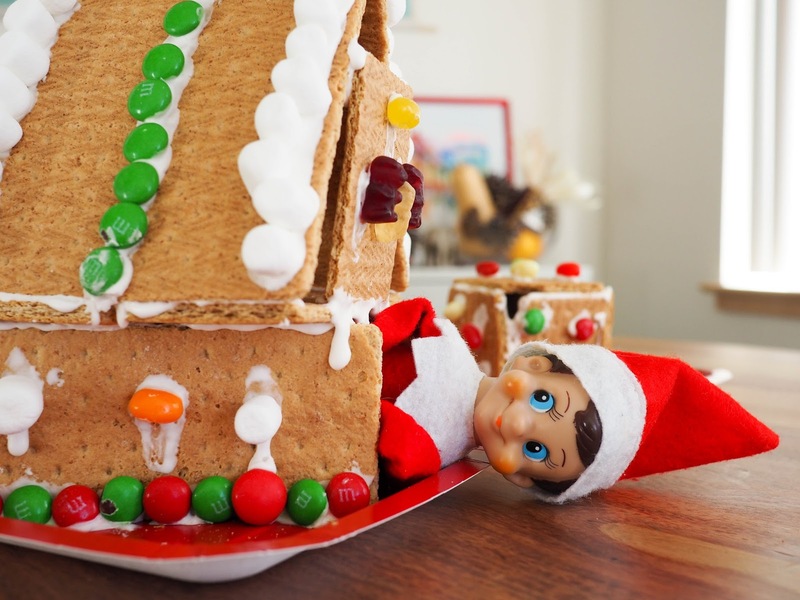 How did Elfie get himself into such a predicament? Did he peg himself up among the cards by himself or did someone else do it? I guess we'll never know. Elfie Pokie Nokie seemed pretty happy that we finally bought ourselves a Christmas tree. 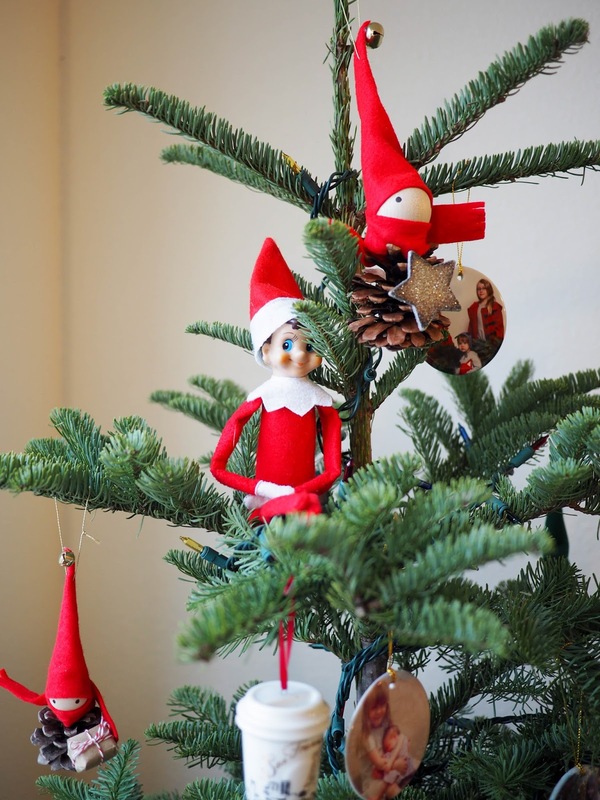 The morning after we bought our tree we found him perched at the top among the elf ornaments. 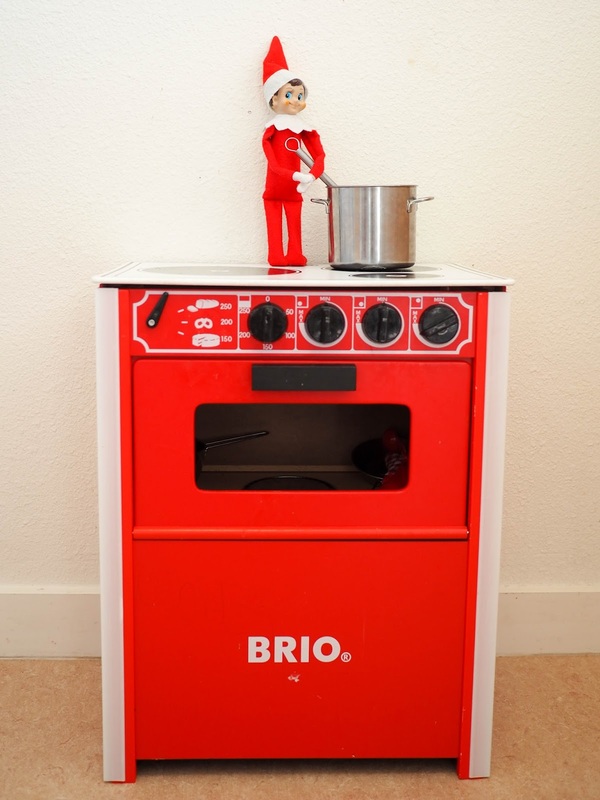 I guess he probably feels at home hanging with the other elves. 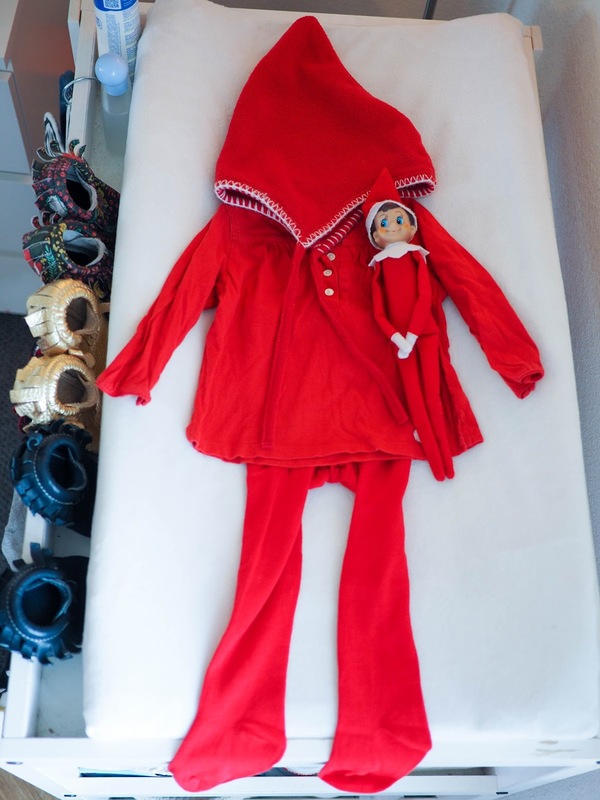 That Elfie Pokie Nokie sure has been getting into the Christmas spirit over the past few days. Hanging with the Christmas cards, sitting in the tree, and now he's trying to squeeze inside of Ava's "gingerbread" house. This year the girls made fake gingerbread houses out of graham crackers. 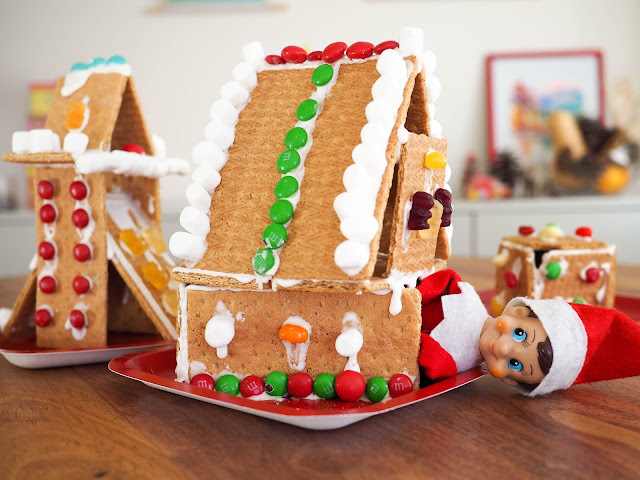 We still used royal icing and candy though so they were kind of real. The girls certainly came up with some crazy designs! Ava's house was the closest fit for Elfie but still not quite big enough. Lola's house was more of a tower. Mathilde's was just a little box. 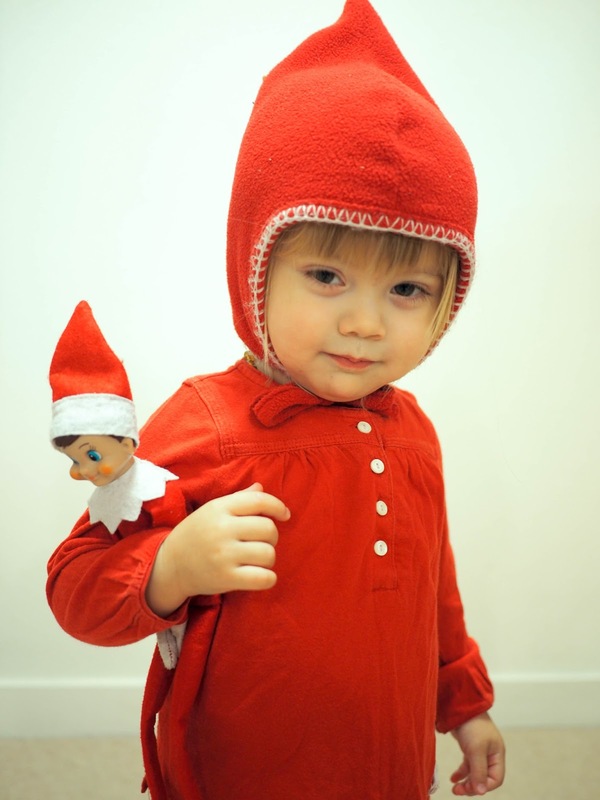 I've mentioned before that Mathilde has a Hanna Andersson "elf" hat that looks pretty similar to Eflie's. 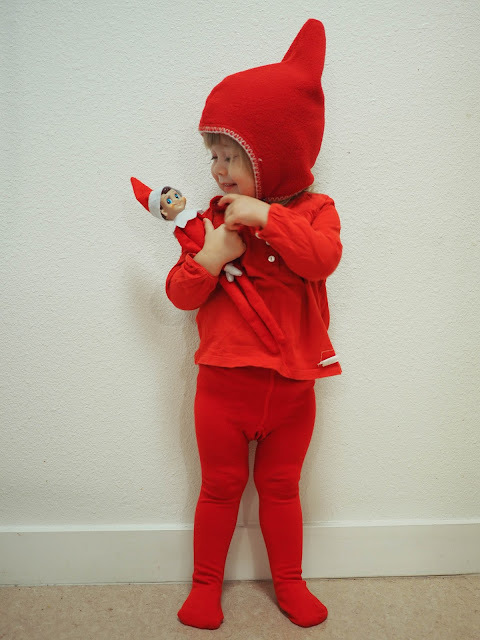 Well, Elfie obviously thought it looked pretty similar to his too and set out matching clothes for Mathilde to wear for the day. 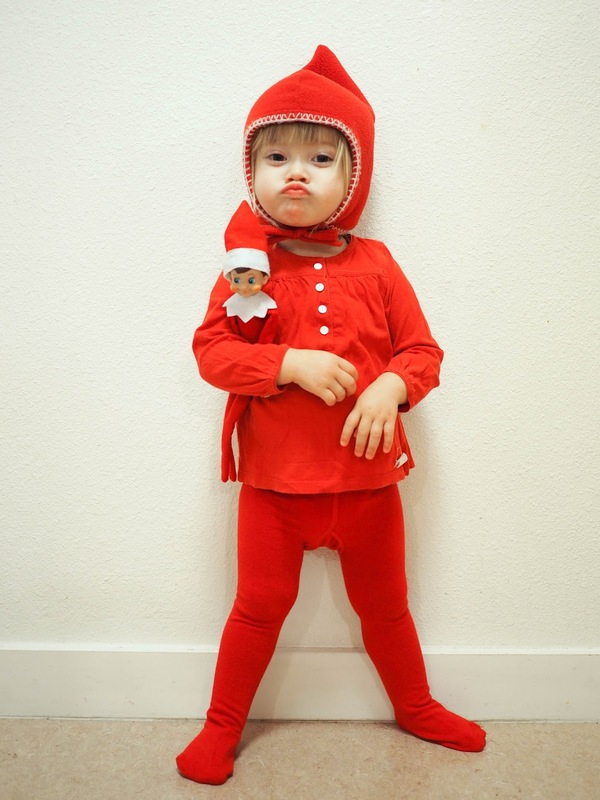 Mathilde was excited to dress like Elfie Pokie Nokie and insisted on carrying him around all day. He even went to a holiday party with us. I know, I know... kids aren't supposed to touch the elf but I figure toddlers don't count! 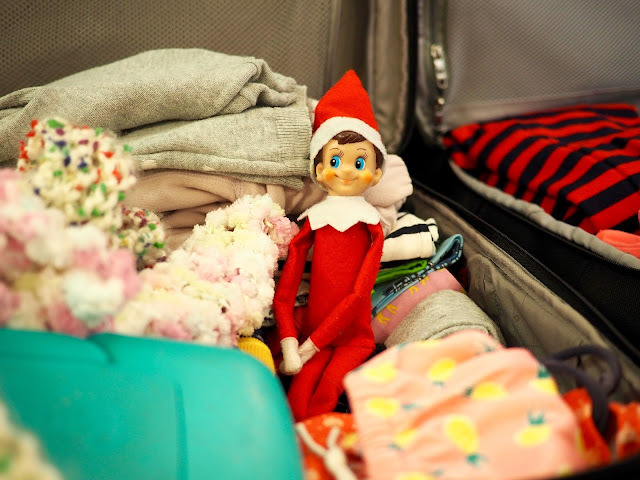 Today we head off on our southern California road trip and it looks like Elfie has decided to tag along. We found him sitting in the kids' suitcase with a big smile on his face. Well, that same smile that he always has. Elfie Pokie Nokie is with us for just a few more days. I wonder what he'll get up to on our trip.